Only the mysterious April 3rd show never came to be. On January 11th the 2002-04-27 Barbican gig was also confirmed. Thighpaulsandra has left COIL choosing to work with Spiritualized instead. It’s terrible. We want him back. On February 3rd 2002, the 2002-04-02 Forum, Bielefeld, Germany gig was tentatively announced, however the venue location was moved to the Vooruit, Ghent, Belgium on February 13th. 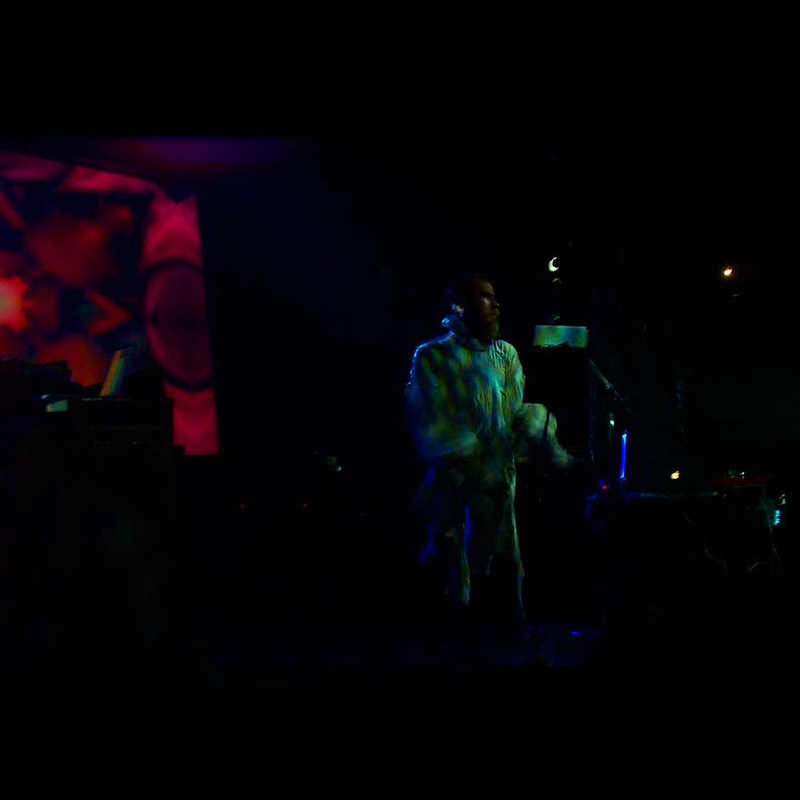 On March 29th, the 2002-06-07 New Forms III gig was also announced. “Backwards / The Remote Viewer” phase. Named such for the fact that “Anarcadia: All Horned Animals” (which was originally titled “Queer Wolf”) and “Sick Mirrors” (played later on the tour but not at this gig) most closely resemble the same songs as “Remote Viewing 2” and “Remote Viewing 1 + 3” off of The Remote Viewer, released in May 2002 and sold on tour, respectively, while the setlist also has three songs from the abandoned Backwards sessions: “A Cold Cell,” “A.Y.O.R.” (originally titled “In My Blood,” or “It’s In My Blood”), and “Backwards.” The latter two tracks differ a decent amount from their studio counterparts, especially “Backwards,” which incorporates elements and lyrics from “Constant Shallowness Leads to Evil” in almost every performance. “Slur” is another revived song off of Horse Rotorvator. By this point, the band implemented a new version of “Amethyst Deceivers” that mostly resembled the version released on Autumn Equinox. With a new setlist came new choreography and costumes for the band. 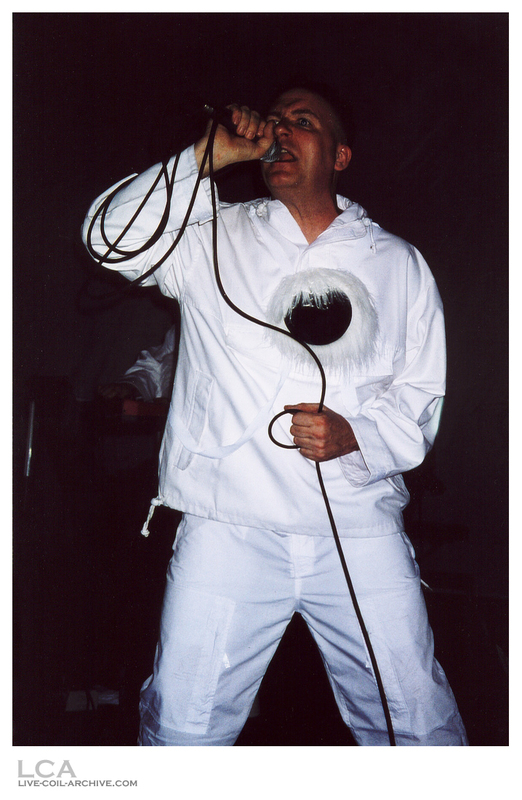 Instead of the semi-glow-in-the-dark boiler outfits, the members of Coil wore baggier white shirts and white pants with reflective medallions hung on their torsos. Newcomers Cliff Stapleton and Mike York often dressed all in black and were stationed behind the other members of the band, blending in with the darkness of the stage. This same garb carried over into the “Live Four” phase. 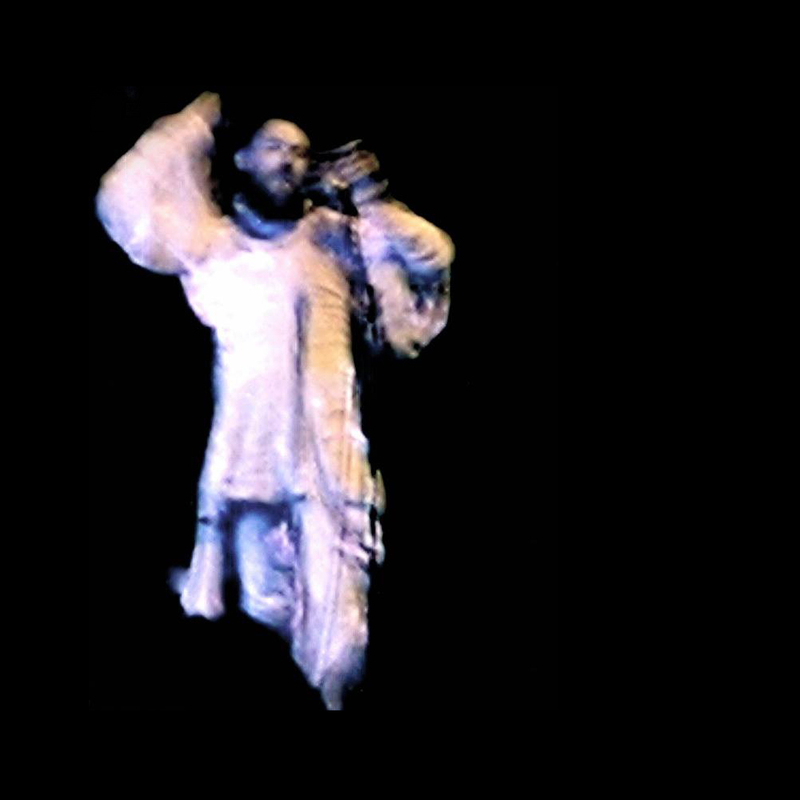 However, during “Anarcadia: All Horned Animals,” John and Ossian would initially come on stage wearing white shawls over their heads, which they’d discard midway through the song. 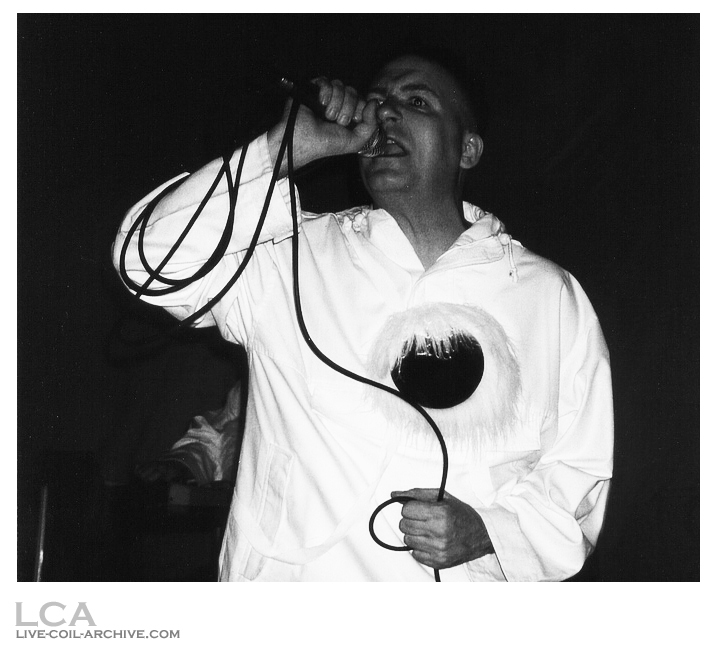 Massimo and Pierce would infrequently perform at these Coil gigs as well, and they conducted different choreography at every show during this phase. Debut performances of all songs; until AUD #2 surfaced, it wasn’t known that “Slur” was played at this gig! The crowd was very enthused throughout the gig. Before “Slur,” John says, “Thank you. This next song is ‘Slur.’ It’s about being sodomized in the ruins, in the ruined city of Marrakesh.” The audience lets out more yelps of excitement. AUD #1 3-/10 No 53 min M?, 320 kbps MP3 Currently the worst quality live Coil AUD circulating. Every track cuts out into silence, while the next track usually cuts in to John speaking to the audience or the song starting; weirdly enough, the audience applause repeats on the “Paranoid Inlay” and “A.Y.O.R.” tracks! Missing “Slur,” “Broccoli” cuts in, and “Backwards” cuts out. AUD #2 5-8+/10 No 64 min M?, FLAC Surfaced on July 24, 2016. The taper intermittently moves the tape, resulting in mix changes. There seem to be cuts between songs and during the end of “Backwards”. AMT ? ? ? M0 (?), ? Remains unsurfaced. Includes interview footage.